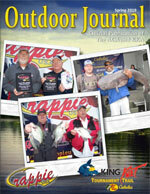 The Spring 2019 Edition of the Outdoor Journal, the official publication of ACA and KKA, is now available online. 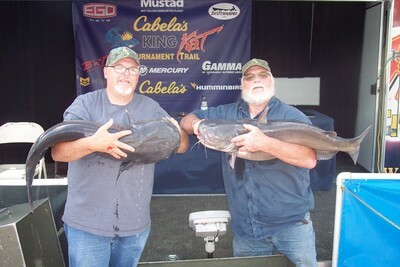 Louisville, KY – April 14, 2019 – Catfish anglers from seven states traveled to Camden, SC and Lake Wateree for a King Kat Tournament Trail event presented by Bass Pro Shops Cabela’s. Thirty-seven teams gathered to test their catfishing skills against other anglers and Mother Nature. An early bite paved the way to success at Gallatin, TN. 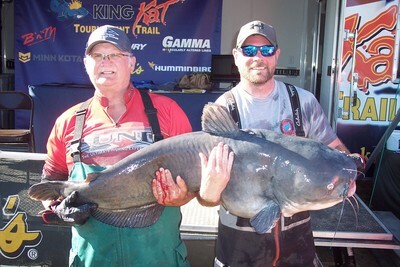 Louisville, KY – April 7, 2019 – Catfish anglers from 11 states traveled to the Cumberland River and Old Hickory Lake for a King Kat Tournament Trail presented by Bass Pro Shops Cabela’s. Forty teams gathered at Gallatin, TN to test their catfishing skills against other anglers and Mother Nature. 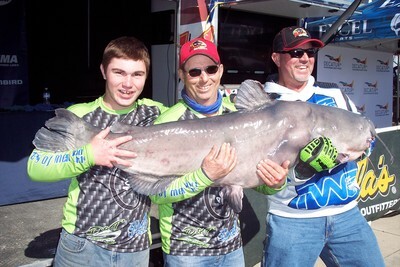 Carl Morris, Jr. and Rob Parson break King Kat record with a 114.96-pound blue cat. Louisville, KY – March 18, 2019 – Catfish anglers from 13 states traveled to Wheeler Lake for a King Kat Tournament Trail event presented by Bass Pro Shops Cabela’s. Fifty-eight teams gathered at Decatur, AL to test their catfishing skills against other anglers and Mother Nature. 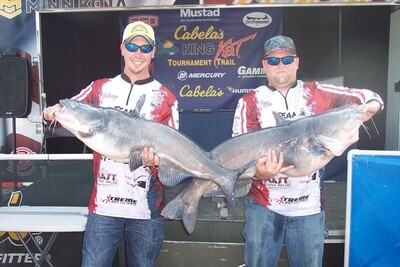 The first-place total weight included Big Kat of the tournament at 72.44 pounds. 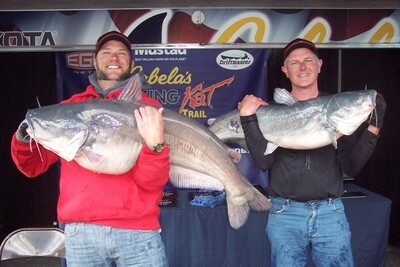 Louisville, KY – March 10, 2019 – Catfish anglers from eight states traveled to Lake Tawakoni, TX for a King Kat Tournament Trail presented by Bass Pro Shops Cabela’s event. Thirty-eight teams were hosted by the cities of West Tawakoni and Emory, TX to test their catfishing skills against other anglers and Mother Nature. King Kat is proud proud to announce that the fine folks at Keep Alive have put together a great opportunity for KKA members to save 20% on your entire purchase! Keep Alive is the industry leader in keeping fish alive! From aerators, livewells and live bait tanks, bait pumps, and fishing oxygenation systems, keep alive will help keep your fish and live bait alive and healthy! To get this discount just give your active KKA# when you place your order. To see the full line of products from Keep Alive visit www.keepalive.net or www.oxygeninfuser.com or call 727.841.0407. With so many of our members moving to live oxygen systems this is the perfect opportunity to get the best system for a fabulous price.